Set in the rolling countryside of Picardie and surrounded by the enchanting Chantilly forest, the prestigious Golf de Chantilly is one of France's truly great golf clubs. 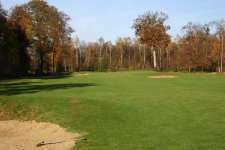 Founded a short walk from the center of the historic town, its members initially golfed on a rudimentary layout that was re-designed in the 1920’s by the great Tom Simpson who transformed Chantilly into an aristocratic club of real quality. 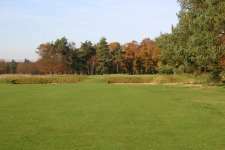 Simpson, who also designed the nearby classic at Morfontaine, originally built thirty-six holes for the club but its land was owned by the French forestry and over the years nine were lost to roads and parking. During the late 1980’s Golf de Chantilly decided to re-establish the second course and commissioned Englishman Donald Steele to build nine new holes on additional land. 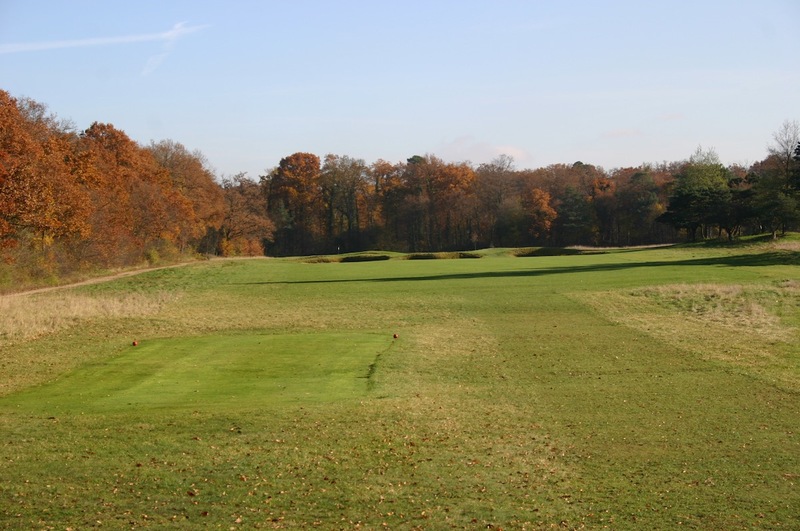 Curiously they then opted to exchange three of his holes with the final three from Simpson’s Vineuil Course to allow the new layout to return twice to the clubhouse. This was seen as preferable to an out and back routing but seems a strange decision as the flat Steele holes are a poor substitute to the superb Simpson originals, which occupy beautifully undulating ground and formed part of an exceptional six-hole finishing stretch. Aside from losing these three closing holes, the Vineuil Course has retained its original character and when used as a tournament venue it is returned to its former configuration and remains one of Europe’s best Championship layouts. 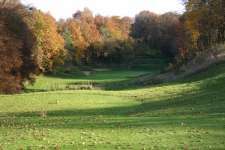 Holes are generally set well back from the surrounding forest and routed across a gently undulating pasture with attractive fairways lined by waving fescues. The greens here are quite large and the slopes softer than on other Simpson courses, aside from highly contoured gems such as 2, 8, 13 and 16. The bunkering is excellent and the shapes remain mostly as rugged and punishing as first conceived. Many of the longer holes feature classical cross-bunkers that are among the most formidable Simpson ever built, thankfully the recent shifting of a number of back tees has brought most of these traps back into play for the strong golfers. 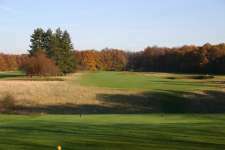 The course starts with a succession of fine holes over softly moving ground and gradually builds through an open middle section to a thrilling climax played through a deep valley and across a hungry ravine. Highlights include the attractive par threes, cavernous fairway bunkering at the 7th, 8th, 12th and 13th and a trio of tremendous holes from the 16th, which were originally a prelude to the closing holes but now form a fabulous finishing stretch in their own right. The town of Chantilly is best known for its historic racecourse and famous Château de Chantilly, which featured in the Bond movie ‘A View to a Kill’ and houses the second largest art collection in France. In golfing terms the Vineuil Course, which is less than five minutes away, is not quite as significant but in its original format is still a golfing treasure. While a game here remains a special treat, missing the three holes to your left as you drive off the first tee is a real tragedy, especially when one considers how ordinary their replacements are. 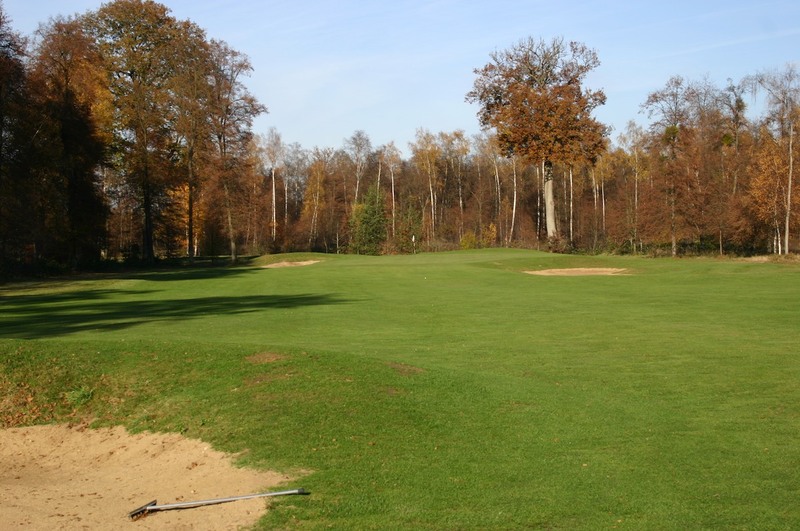 Though hesitant to encourage inappropriate behavior on any golf course, sneaking across to play these terrific holes after your round on the Vineuil is well worth the risk.